1.Melt the peanut butter and butter together in the microwave…It took less than 40 second for me..Mix in the powdered sugar until it forms a dough… If u need u may add a little more powdered sugar to form a dough…. 2.Line up wax paper on a pan and grease it with butter…Spread the mixture onto it and smooth it with the back of spatula. 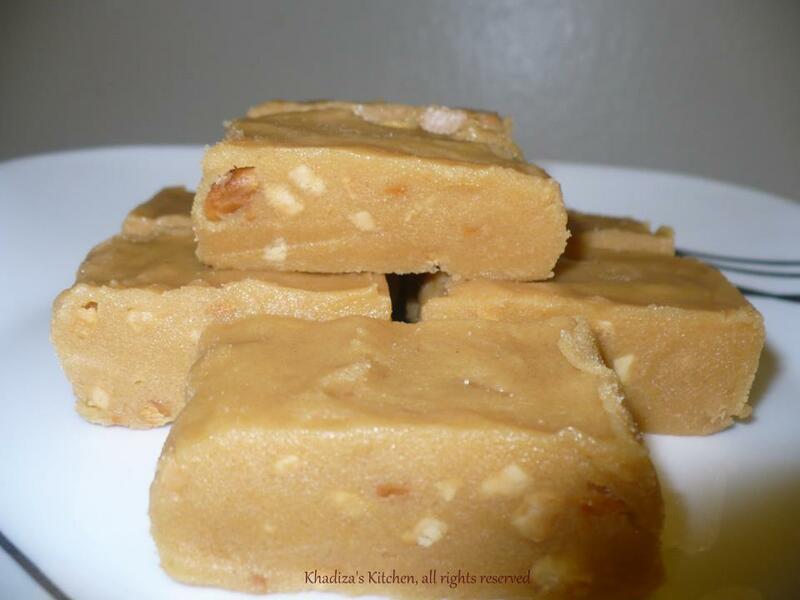 This entry was posted in Desserts and tagged china badam halwa..., chinabadam er halua, peanut butter fudge, Peanut butter recipe. Bookmark the permalink.